Summary: According to a recent survey, one in five small to medium business clients said they were ready to leave their banks in the next 20 months. We provide you with their reasoning and show ways to prevent it from happening to you. 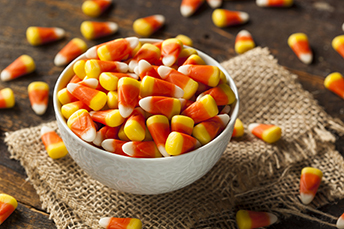 As Halloween gets closer, we share that the candy corn was invented way back in the 1880's and was originally called "chicken feed". Today, the candy corn is 3x the size of an actual corn kernel and 35mm pounds of candy corn are sold each year. That is certainly sweet indeed! As kids soon flood into the streets with bags in hand seeking to capture the best Halloween candy, we are reminded that bankers are always looking to sweeten their business too by capturing more small business clients. According to a recent survey, one in five small to medium business (SMB) clients of the world's top 50 banks said they were ready to leave in the next 20 months. That is good news for community banks. The survey also found 11% said they were ready to leave regional banks. These compare to only 3% of SMBs at community banks who said they planned to switch. Bank-switching customers may be one of the best growth opportunities in small business lending right now. Small business deposit growth at banks has declined from 5% in 2016 to 3% in 2017. Back in 2013, the growth rate was 6.1%. Before you try to find and woo the SMBs who are ready to ditch bigger banks though, it may be worthwhile to take a look at what these defecting business owners want. The same survey found that the #1 feature these bank hoppers wanted was better digital self-service. This suggests that these businesses have very specific digital needs that their current banks aren't meeting. Interestingly, 44% of all business customers surveyed favor online banking vs. 19% for mobile. So, maybe beefing up your online platform would give you more traction with some of these defectors. Another area worth special attention is digital payments. Digital payment acceptance increased 38% from 2017 to 2018 with SMBs. Further, 25% of those surveyed use outside vendors for payment processing, which means there is an opportunity to provide this service and gain fee income and revenue, if you don't already. If your digital payment offering isn't up to speed yet, and you want to compete for these customers, this could be one way. Community banks still have a key advantage over bigger banks, and that is personal service, of course. Business customers said they had nearly twice as much difficulty at a large bank vs. a community bank in both finding personnel who could answer all of their questions and getting all the information they needed quickly. But, relationships were not the "be all end all". In fact, 88% of businesses that switched or planned to switch said they had a relationship manager. As with all surveys, you will want to take this information and review it through the lens of your own community. However, it may be a good time to review your business customer strategy along with the developments of your digital banking and payment solutions. After all, your business customers - current and future ones - depend on you. According to Bain and Co., 67% of Amazon Prime members would sign up for a free online Amazon bank account with 2% cash back. While these customers were the most willing, 43% of regular Amazon customers and 37% of non-Amazon customers would also sign up. Barron's reports that payments technology company, Square is considering whether to expand its product set to offer investment and savings accounts as part of its Cash App. S&P is projecting a 12% chance of a recession over the next 12 months. While double the expectation of May 2017, it remains well below the 30% threshold that dictates the "more likely" chances of a recession by S&P economists. The Financial Times reports the Financial Action Task Force (FATF) is getting closer to establishing a global set of AML standards for cryptocurrencies. Barron's reports bank stocks have returned about 5.0% this year vs. 11.4% for the S&P 500, as loan growth continues to be challenging.